At first glance, Peter Thomas and Evan Christian might look like an odd couple — Peter, a cellist with the Milwaukee Symphony Orchestra; Evan, a flamenco guitarist and Milwaukee mainstay who recently opened a music club in Walker’s Point. Some might say the two don’t go together. But Thomas and Christian would disagree. 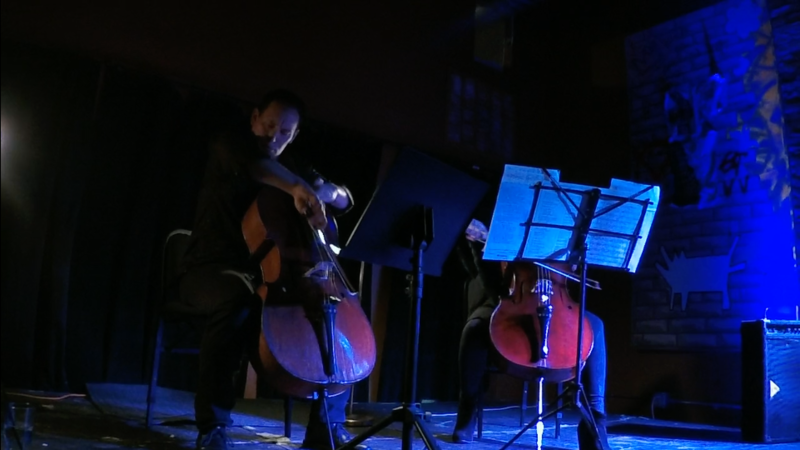 The 414 Quartet residency, a partnership that brings MSO musicians to Christian’s club to perform chamber music, is still in its infancy but has shown promise, drawing packed crowds and inspiring powerful performances. Evan and Peter agree chamber music, a more intimate expression of classical, is an accessible way to introduce people to an art form that can often seem reserved for the wealthy or elite. Since Christian opened Gibraltar MKE, in December 2016, it’s taken on an almost-mythical allure for those seeking quality music and a diverse crowd. Gibraltar, located near 6th Street and National Avenue, sits in a largely Hispanic area and draws people from across Milwaukee. That was a consideration, Thomas said, when considering where to host these events. Christian, whose first instrument was upright bass, has been a long-time admirer of classical music. Gibraltar hosts flamenco acts, DJs, bluegrass bands and a variety of other performers. But Christian said the opportunity to host the quartet is a special treat. Will you help us create a movement of people-centered news? This work is supported by small, monthly contributions from folks just like you — join our mission by becoming a member today! Jabril is a life-long Milwaukeean, writer and Edward R. Murrow award-winning journalist. Previous PostWill you help us build a movement of community-supported news? Milwaukee Stories is a nonprofit organization that brings you the real stories of regular people. This work is supported by small, individual monthly contributions from people just like you; we need your help.